Gardeners are always looking for quick and inexpensive ways to solve garden problems. You don't want to waste time rushing to town to purchase an expensive and harmful chemical that doesn't work well. It may surprise you that the solution is already in your kitchen. 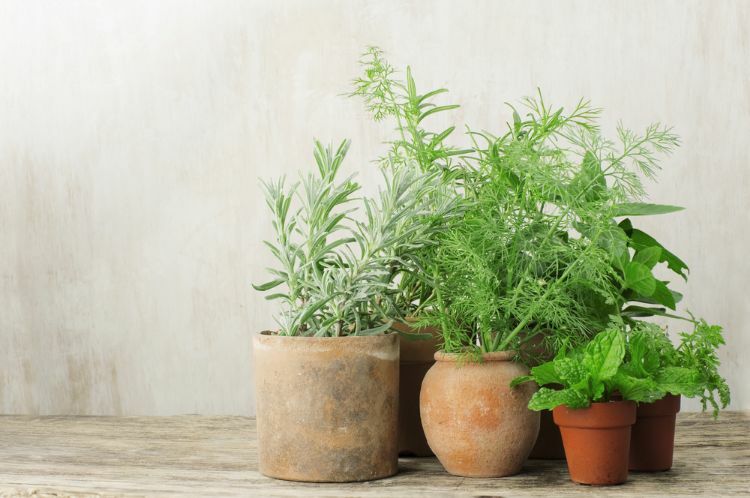 Vinegar can be used in many ways to protect and beautify your garden. You can mix it with other ingredients or use it on its own to solve many urgent garden problems. 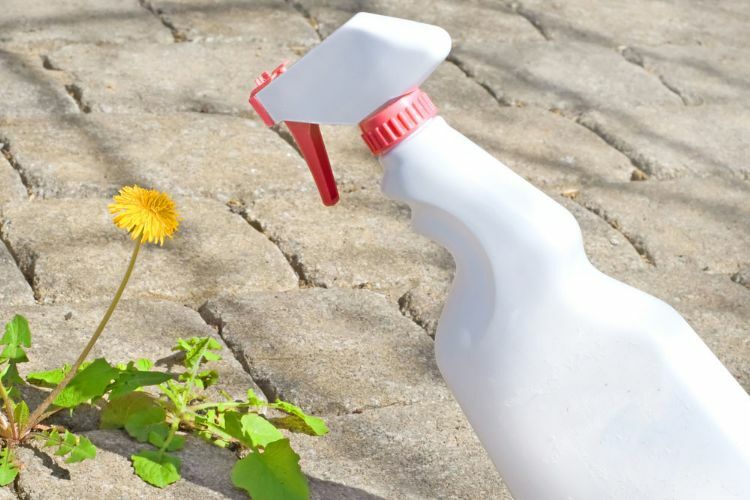 These 1o tips will help you create the beautiful garden of your dreams — with vinegar! While we love our pets, no one likes when they dig up the garden. You can easily deter them with household vinegar. 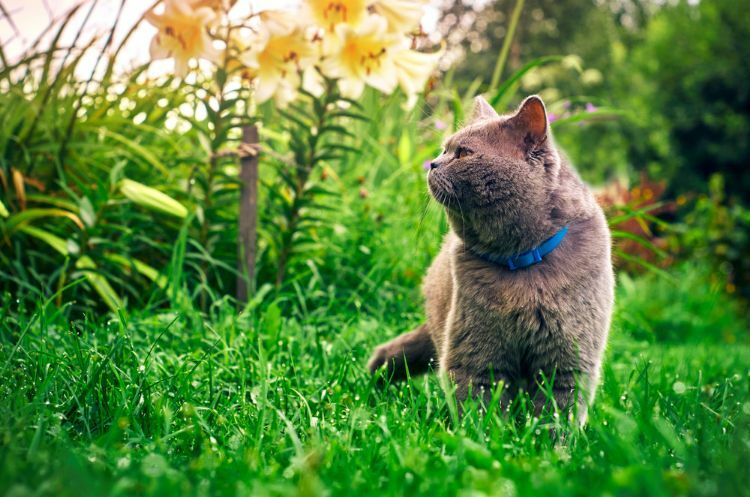 Try spraying vinegar around your garden to deter neighborhood cats from using your soil as a litter box. 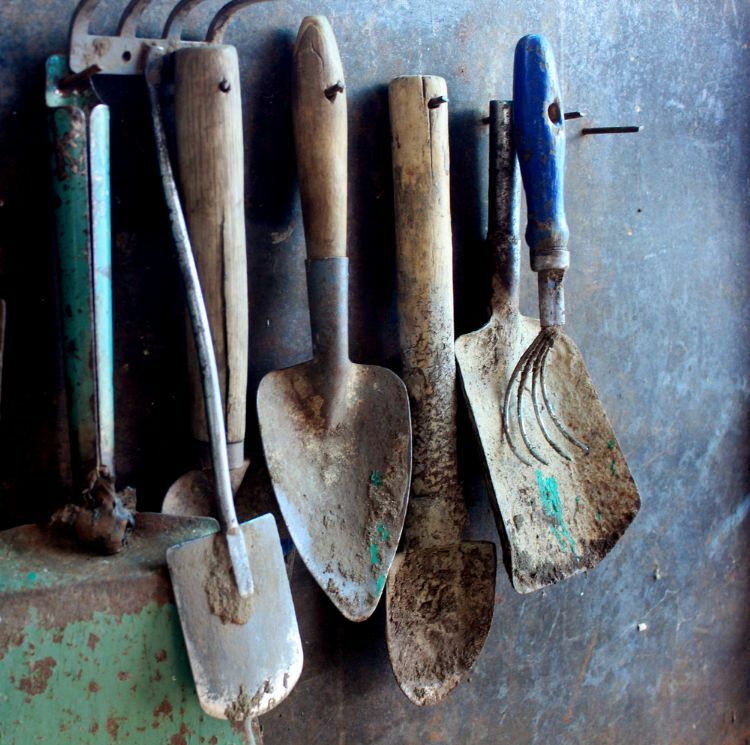 To work efficiently, garden tools must be free from rust. Since they often live outside, keeping them rust free can be a challenge. You don't have to scrub them with steel wool. A soak in a vinegar solution can easily return them to their best shape. 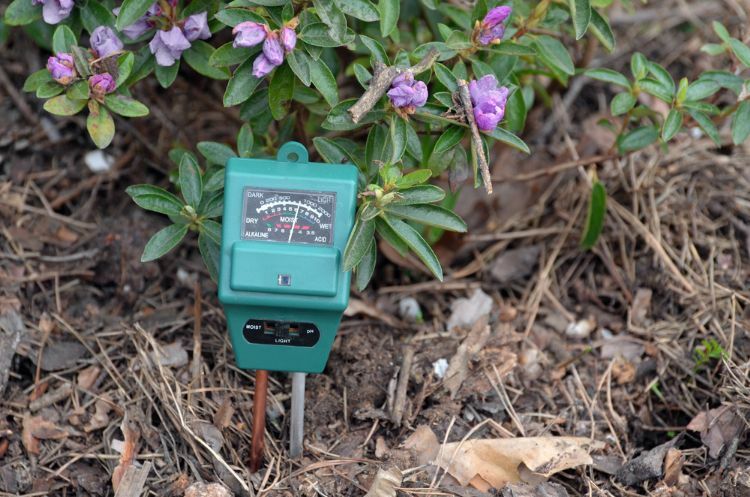 Soil balance is essential to beautiful blooms and plentiful vegetables. If you aren't seeing good garden production, your soil may be out of balance. If you are a DIY gardener, vinegar and baking soda offer a quick and easy way to see the pH values in your soil. For instance, you can mix some soil with a few spoons of vinegar in a mug. If the mixture begins to bubble, this means your soil is alkaline and has a pH value above 7. Likewise, baking soda mixed with soil can test the acidic level and whether or not the value is below 7. If this sounds too much of a hassle, you can also buy a soil pH reader from the store as well. 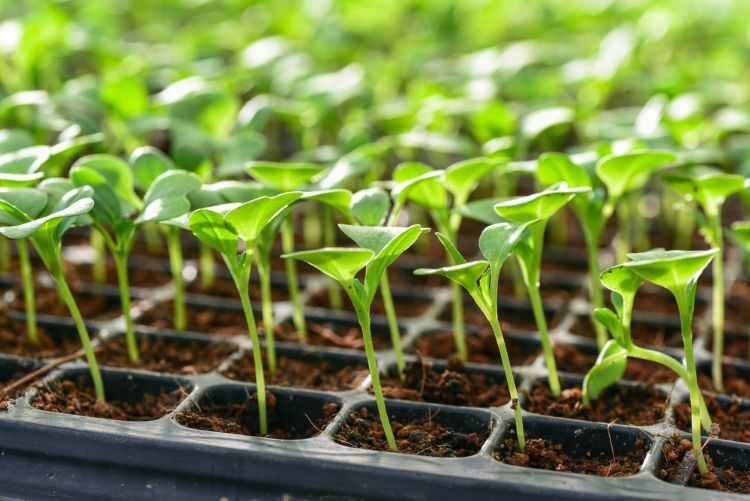 The pH value will affect the types of plants you can grow in the soil. Copper can be a beautiful shiny touch for your garden. 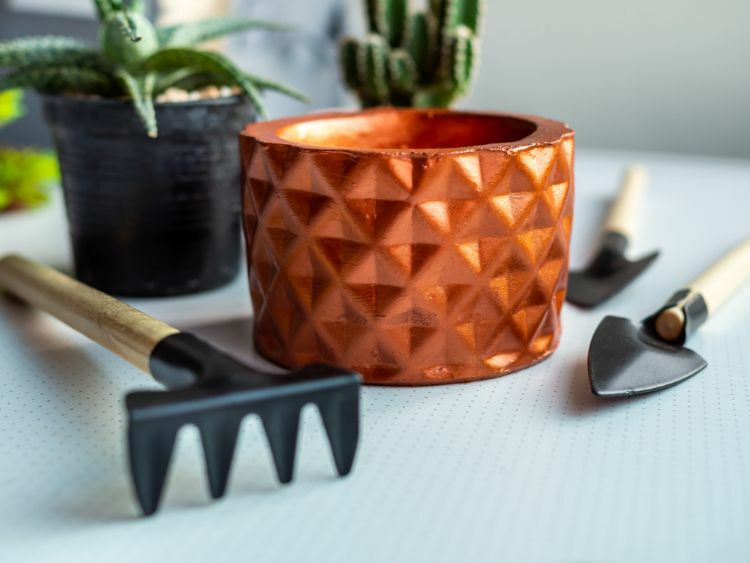 If you don't like the green patina and want to restore your copper garden decor to a shiny finish, follow this tutorial on cleaning copper with vinegar. Mineral deposits naturally develop on the outside of clay pots. While some find it charming, you may prefer to keep your pots looking nice and new. A soak in vinegar removes deposits. Bless My Weeds shows you how. 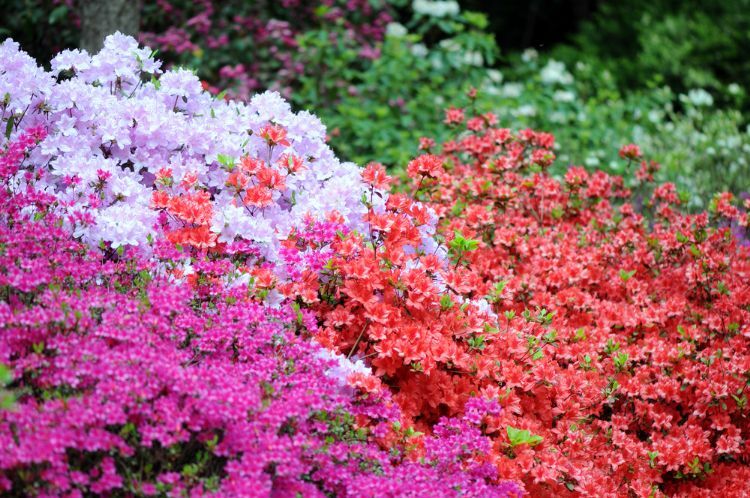 Many plants, such as azaleas, love acidic soil. In fact, they need it to produce abundant blooms. Follow these directions for mixing vinegar and water to create the acidic soil they crave. Isn't it frustrating when your beautiful seedlings wilt and wither overnight? Damping off is a seedling disease often caused by mold or fungus growing in your soil. You can eliminate these harmful substances by following this tutorial by The Thrifty Couple for using vinegar when starting seedlings. 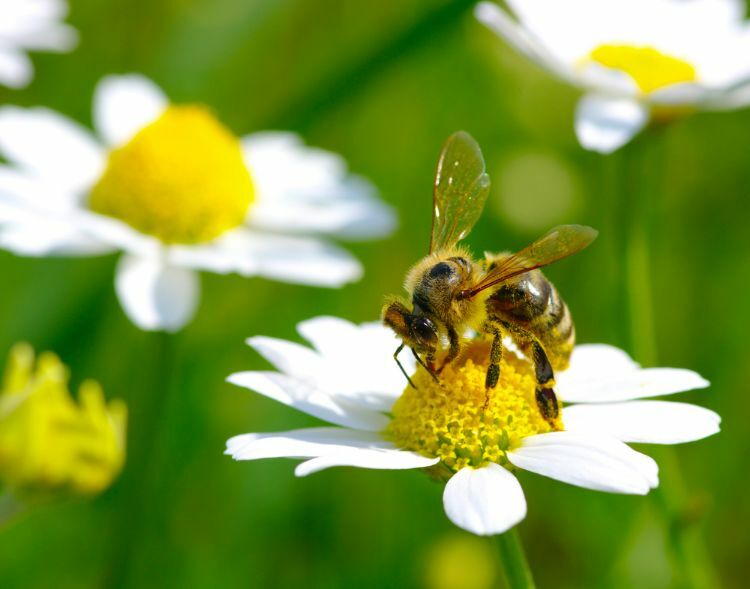 Keeping bees safe is an essential part of a garden plan, but pesky wasps often cause trouble for even the most conservation-minded gardener. Try adding vinegar to a wasp trap to prevent bees from entering the trap. Wasps will still be attracted, but your bees will stay safe. 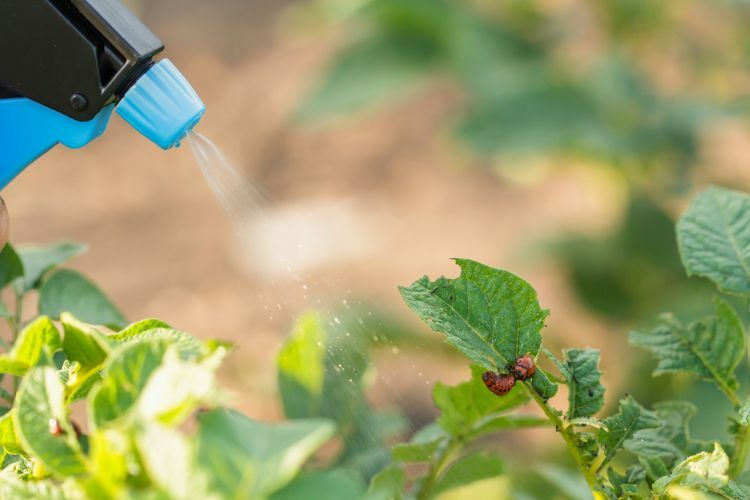 Pest spray can contain many chemicals that you don't want on your fruits and vegetables. Kristina at My Own Home has created the perfect recipe for using vinegar to deter pests. 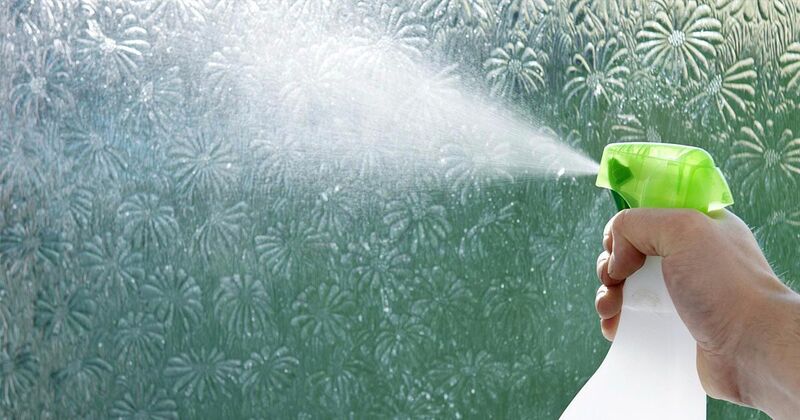 She combines vinegar and essential oils to create an all-natural pest spray. Vinegar has so many uses in both your home and garden. If you love living a natural life, share these amazing vinegar ideas on Facebook!